My name is (Your name) and I am working as (Job designation, e.g., dispatch in charge) in this company for 2/3/4 years (more//less). I have Christmas and New Year holidays (vacation or festival type) till (date to date). (Describe in your own words). 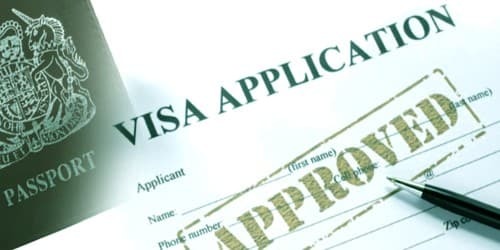 I want to spend this (vacation) abroad; I have been to the embassy to apply for a visa. I have submitted my passport and other related documents regarding visa. Embassy asks me for an employment letter from the company where I am working then they will issue me a visa to visit their country. (Explain the actual cause and situation). I request you to please write an employment letter for me to submit it to the embassy. (Describe your requirements). Then I will get a visa. I hope to get a favorable answer. I am writing to you because I would like to request you to provide my son/daughter for a visiting visa. I have been working at your company for a long time and I enjoy the work that I do. (Describe in your own words). Please give my son/daughter a letter of recommendation for a visit visa so that I can spend some time with him/her. I can personally vouch for him/her. S/he is responsible and is a good person. (Describe all about the situation). During this time we hope to visit some of the countries historical places and go to some amusement parks to have some fun. (Explain the actual cause and situation). I hope that you can help me with what I need. I look forward to hearing your response.